Latin America's largest country to enter NATO? President Trump actually broached the unlikely scenario during a press conference after meeting with populist far right Brazilian President Jair Bolsonaro — dubbed by the Media as the 'Brazilian Donald Trump' — at the White House on Monday. 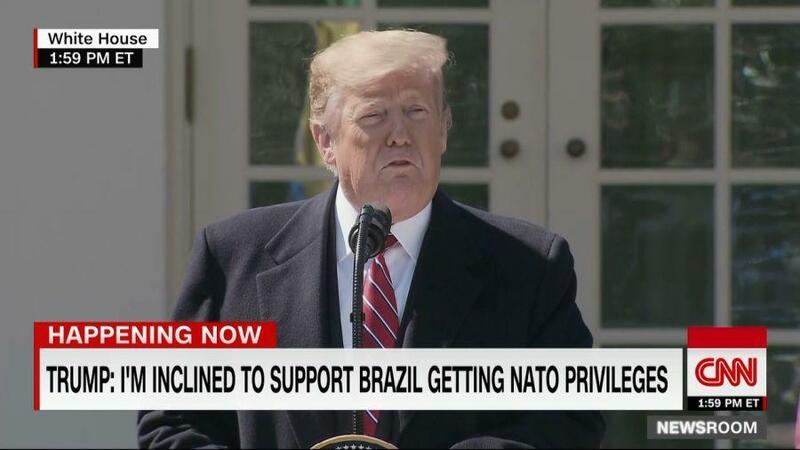 During the remarks President Trump said he intends to designate Brazil as a non-NATO ally while also musing in an off-the-cuff manner "even possibly" making it "maybe a NATO ally". 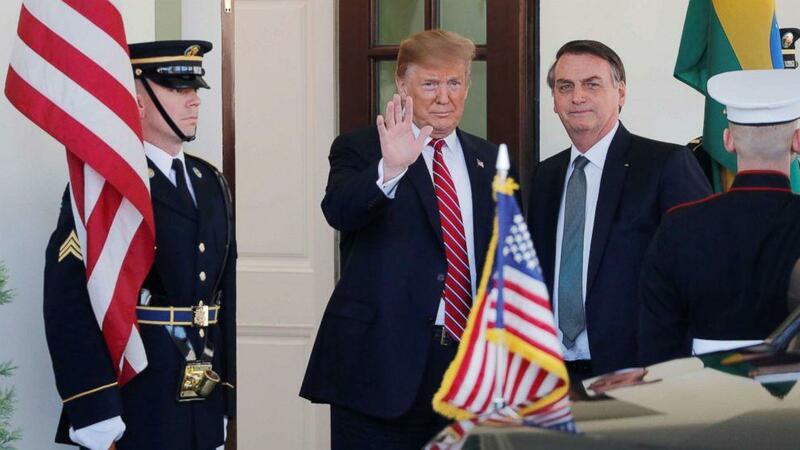 Brazil had previously indicated it is seeking and would welcome "major non-NATO ally" status granted by the White House, which would significantly boost its ability to purchase military equipment from the US. The designation of “major non-NATO ally” (MNNA) would give Brazil "preferential access" to American military equipment procurement, and further invite more US-led military training and joint operations. Trump previously indicated he is "inclined" to push for Brazil receiving non-NATO ally privileges. “We’re looking at it very strongly. We’re very inclined to do that. The relationship we have now with Brazil has never been better,” he said Monday. But the comments about full NATO entry came as a surprise to many, perhaps even Bolsonaro himself. Brazil has been a key regional ally in ramping up pressure against Maduro's Venezuela as well, and a longtime on-and-off again ally, going all the way back to the US being the first to recognize Brazilian independence from Portugal in the early 19th century. Last week Brazilian officials told Reuters the two countries were in the midst of strengthening direct military cooperation and ties, with eye toward increased NATO level cooperation. No doubt Caracas will interpret Brazil's potential future MNNA status and closer relations with NATO as yet another move toward US-sponsored regime change. Trump specifically addressed the Venezuela issue after meeting with Bolsonaro: "We call on members of the Venezuelan military to end their support for Maduro — who is really nothing more than a Cuban puppet — and finally set their people free," he said during the press statements on the White House lawn.